ACE Soccer Club was founded in 2009 by the Toscano Family with only four teams. It was essential to the Toscano’s that ACE function like a family, focused on a sense of community, teamwork and collaboration to grow ACE into the premiere soccer club it is today. ACE, though viewed by some as a Hispanic club, welcomes Diversity and leverages the many benefits of cross-cultural teams to players and families. Once a player puts on the ACE uniform, they become family and expected to have the Disciplineto train hard and possess the Desire to play at the highest level possible. With over 20 teams playing at high levels in the State and Regional leagues, ACE coaches bring an abundance amount of Dedication and commitment to each team. ACE strives to get every player to reach their maximum potential. This can only be done through periodic player evaluations, adjustment in player training and encouraging teams seek out high level competition. If you have any questions, please contact ACE Fitchburg Programs Director Marcus Weesner at 574-214-8646. Provide families with meaningful soccer training with a strict and focused curriculum that will ensure early success through periodic player evaluations thus, maintaining a challenging and competitive soccer environment. 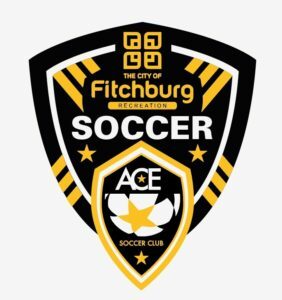 Fitchburg Spring Soccer is one day a week (Mondays or Wednesdays) at 5:15pm to 6:30pm. The program is for players at least 6 years of age to players under the age of 12. Register though the Fitchburg Recreation Department. The program starts April 22 (Monday) or April 24 (Wednesday) through June 3 (Monday) or June 5 (Wednesday). Monday has 4 spots remaining.